Former member of K-pop group "B1A4". Dande-liyon Jun 14 2017 6:42 pm I was like scrolling...scrolling..then boom! He's an idol! From B1A4!!! chaeyeon Aug 18 2016 4:25 pm baro ya!! I miss your acting.. I hope you meet a good project soon.. our squirrel..
Vany Dec 23 2015 5:31 am waaah.... you look good in Angry Mom. Nice acting!! Lol Jun 15 2015 8:50 am Baro oppa u were so amazing in angry mom. I had no idea u can be so hot, you were so badass. I did not know u were such a good actor and your relationship with kim yoo jung was amazing and very fun. I hated your character in angry mom at the beginning but then i loved u. I became a b1a4 fan because of u.
xiaolong May 28 2015 6:31 am oh wow! !i had no idea he was a pop star too!! amazing transformation! everytime someone is mean to young gyu it bothers me so much such a sweet character! wow this guy!! jeshy Jul 26 2014 12:43 am Baro looks sooo much like Jungigo! I was 100% shock when i watch the MV. And not to mention his acting in God's Gift 14 days. Daebak! He doesn't even look his age when he act as Young gyu. <3 <3 Fighting Baro! bibimbap Apr 27 2014 3:38 pm I cannot express how surprised I was when I found out that Younggyu from God's Gift was played by Baro, who was a kpop idol. After watching his performance, I found myself trying to figure out whether he actually had a disability or was just acting it out (his performance was just so convincing like gahd). And so I did some research and BOOM, I found out he wasn't even a professional actor and my jaw just dropped. 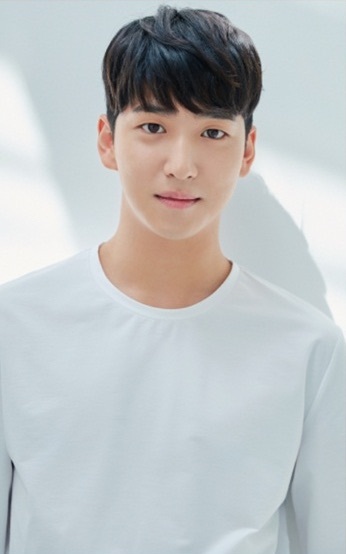 Kpop idols usually aren't that great at their roles, but Baro was just... holy crap, this kid is good. His performance totally convinced me. I really can't wait to seem him take on more roles, especially challenging ones like Younggyu's. Baroro Dec 18 2013 4:23 am Only realised how adorable he is through Reply 1994 >3< Planned to only watch the episode with Hoya in it, but I think I'll have to watch all the episodes for him D< Baro-oppa, hwaiting! MARSHA Nov 26 2013 10:49 am Our Smily Boy, Binggre!